So, you want to get “strong like a bull.” Or maybe, just a little bit stronger, and you have never done any type of strength training before. Either way, awesome! You’ve come to the right place. I’m going to share with you everything I can to help you get started the right way. 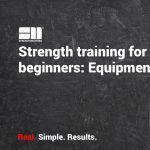 What Is Strength Training: A Complete Beginners Guide. It’s important that you understand some important principles and a little bit of science behind why we do what we do. The list could go on, but you get the picture. When we say that strength training is medicine, we believe it, but you know this already. You’ve probably read this a thousand times before. But how on earth do you ACTUALLY get started with strength training? It can get quite overwhelming, particularly with all the free articles and materials that are available to you on the internet. Don’t worry. We’re going to lay out a complete step-by-step foolproof plan for you to start the right way. We’ve got your back. So put aside all the questions you have at the moment, and dive straight in. We’re going to make it as simple as possible for you. I told you we were going to keep this easy. Let’s start with the basics: what to wear and what to put on your feet, with footwear being the most important decision to make. You don’t need to spend hundreds of dollars on new workout gear. Most beginners do this to make them feel great about themselves and solidify their decision to start working out again. However, it’s unnecessary unless you have cash to spare and really want to go shopping. I can testify that nothing feels better than putting on new clothes to work out, but don’t feel that you have to. As a rule of thumb, cotton clothing performs well during low-intensity activities and is less likely to stink up your gym bag. Moisture wicking fabrics have the edge for high performance activities when sweating can become an issue. Just be aware they tend to smell a bit more. Regardless of clothing and the material you choose, never compromise fit for style. Your clothes should be fitted enough to allow freedom of movement and not restrict range of motion. A great way to test this is the simple squat test, doing a few lunges and putting both arms up overhead. Are there any restrictions? If so, those clothes might not be the best choice for you. Clothing should make you feel confident about what you are doing, yet not get in the way. If you’re not happy with what you’re wearing, it’s probably going to affect your mood and how you workout. This is going to be a bit controversial and a bit out there. So please stay with us! You don’t need to spend money on lavish or expensive footwear. Barefoot works just fine. That’s right. For strength training, barefoot is best – as a beginner, or even as an advanced strength trainee. All those fancy weightlifting shoes you see or those crazy new cross trainers … don’t worry about them just yet. There’s a time and a place for them, but for right now, barefoot is best. “The human foot is a masterpiece of engineering and a work of art.” – Leonardo Da Vinci. I don’t think I could have put it any better myself. The human foot has twenty-six bones, thirty-three joints, nineteen muscles, and around a hundred and seven ligaments. Now multiply that by two! Not to mention the thousands of small nerve receptors running through it. It is proprioceptively rich, just like the hands. In fact, 70% of the body’s terminal nerve endings are found in the hands and feet. They are the primary source of tactile stimuli for our nervous systems. I’d highly recommend watching this video before going any further if you have the time. 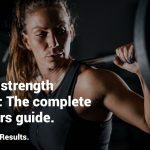 Now, if you read the previous blog in this series, you now know that strength training is all about the nervous system. It’s not about having big muscles. These small nerve endings in your feet are highly sensitive to stimuli that include texture, vibration, and pressure. By training barefoot, we’re activating your central nervous system. This is going to help activate your core and your glutes, and give us better proprioception underfoot. In non-technical language, it means it’s going to make you stronger. More importantly, we’re going to see structural realignment over time, and if you take this barefoot approach outside the gym, in appropriate circumstances, too. The feet are intricately aligned to the rest of the body. If they’re not working properly, they don’t send the right messages up the chain. As the feet strengthen, we often see a knock on effect in the legs, hips, and upper body. This can lead to improved posture, less knee and back pain, and overall improved movement biomechanics. The feet are super important. So, when it comes to strength training, go barefoot. Only use these fancy weightlifting shoes and trainers if you’re an intermediate to advanced athlete who understands why you’re using them. However, we know this may not be appropriate for you in some cases. Here’s the next best option: we highly recommend footwear from Vivobarefoot. They have the same outlook and philosophy to training as we do, and they’re products are by far the best on the market. In fact, I wear nothing else on my feet anymore, other than my snowboarding boots, that is. They’re the very next best thing to barefoot. If you’ve not heard about them, here’s a link to a review I made about their Primus trail shoes. It will give you a bit more of my story about how I transitioned to running barefoot. This alone, could be a game-changing moment for you and your overall health. If you go to the dentist, what’s the first thing they do? They open up your mouth and have a look inside. They assess to see what’s going on. They don’t just start drilling aimlessly. They make calculated decisions based on what you need. They don’t close their eyes and hope for the best. Why? Well, can you imagine the pain and the problems they would cause if they did that? Can you imagine the expense of fixing that mess afterwards? So why is it then that when it comes to health and fitness, we humans close our eyes, pray, and hope for the best? Why is it that most people pick out a random program or fitness class that looks fun and interesting and jump right in? I’m not trying to be the fun police here. I’m a big believer in being able to do anything in life. However, if you haven’t assessed your fitness level, how do you know how to fix the issue? How do you even know what the issue is? You don’t, it’s just guesswork. Before you do anything else, you need to be assessed by a professional or follow a self-assessment to uncover the truth. But how do you do that? What do you do? Truth is the catalyst for your own personal fitness success, and it starts with a basic health assessment. In our professional experience, baseline health affects everything in our day-to-day lives. In the long term, health has a direct correlation to improved fitness. The healthier the human, the better we can improve upon his or her fitness – up to a point. Remember, elite fitness does not always mean healthy! With maximal fitness potential comes improved quality of life. When we assess health, we highly recommend you start by seeing a medical professional for a routine health checkup. Our philosophy is the more you know about your own body, the better. Please don’t skip this step. Most people do and a few weeks later they get lost, fed up and eventually give up on their new fitness routine. Your health is at stake here. To learn more about our health assessments, I recommend reading this article to see why we do it and how to get started. 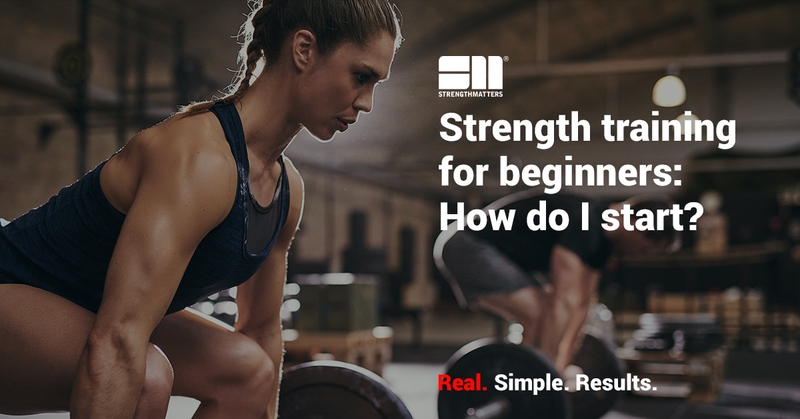 It’s the first step on your strength training journey. After we’ve screened for health and made sure there’s nothing lurking under the surface, we progress to a movement assessment. movement affects everything we do. The human body was designed to jump, run, swim, bike, ski, and perform to the highest level. However, as you age, through the demands of everyday life, stressors occur that procure a negative impact on the body’s mechanics. These stressors can cause pain, imbalances from left to right, asymmetries, and overall decreased function. Now, I want you to think about health and movement as the foundations of your home. Your home’s foundation is as essential as it sounds. The job of the foundation is to transfer the structure’s load to the rock or soil underneath without excessive movement or settlement. Without a proper foundation, a house will not stand the test of time. It is the same with your body. If the foundations of health and movement are not in place, the risk of the body crumpling under the pressure and stresses of strength training increases. This means potential injury, and putting you back further than when you first started. I’ll give you a specific example. One of our movement assessments is the deep sitting squat position, or you may know it as the Asian squat (the resting position in Asia). Can you sit in this position for a minimum of 5 minutes? Yes/No? If it’s a no, you’re number one priority is to not load you with a heavy barbell. This is adding load onto dysfunction, and the chances of your body crumpling under the pressure increase. This doesn’t mean we don’t want you to squat. We just have to find an alternative way to improve this movement pattern so that you can do it safely and at no risk to your health. By improving the way you move, it means a decreased chance of injury, and further down the line, it improves the efficiency of the body and means you can actually perform at a higher level, if you so desire. Movement really is that important. Once we have the fundamentals of health and movement assessed and know where we stand, we progress to the next phase, which is the strength and cardiovascular assessments. I know, I know. We’re talking about strength in this blog. However, did you know that cardio actually makes you stronger? Don’t believe everything you read in the media #FakeNews. The most important muscle in the body is your heart, and we can only make that stronger and more efficient by training the cardiovascular system. A stronger heart allows us to recover more quickly, and it pumps more blood around the body that in turn means we can actually lift more. Not to mention, it helps protect us against the risk of cardiovascular diseases. The stronger the heart the healthier the human. Period. Never forget that heart disease is still the biggest killer in the world. Assessments need to be scaled for the individual involved. It can become quite a tricky process. Here at Strength Matters, we have three layers of assessments for strength and cardiovascular work. Then inside each of these layers, we have two tiers. Everybody, irrespective of ability, gets layer 1 (movement assessments), and everyone, irrespective of strength and cardiovascular ability, gets layer 2.1 (basic strength and cardio). We need to see how people perform and see how they compare to other people. We want to find their weaknesses and see how they test for the ten components of complete athleticism. We want to get to know their bodies better than they do themselves. Depending on the results of the tests, we will then prescribe level 2.2 if they perform and meet our standards. We have baseline standards for each of the three layers that allow us to identify if somebody is ready to progress to the next level. When we test for strength, we always progress from bodyweight to free-weights (dumbbells/kettlebells) and finally to barbells. There’s a progression. Can you hold a forearm plank, feet together, for 2 minutes? Yes/No? Can you hold a glute bridge for 2 minutes? Yes/No? If you can’t hold a plank for 2 minutes, we have significant core problems. A fit, healthy human should be able to do a two-minute plank. If not, this could be a key sign for potential back pain and a host of other issues. The core is intrinsic to everything we do in movement and strength. A weak core will always mean an underperforming athlete. Likewise, with the glute bridge. Most humans, because of modern day life, have underperforming glutes (your buttocks). The glutes, along with the core are the key to athletic performance. If you don’t have the basic muscular endurance to hold this as well, we know we need to address this first. A strong core and strong glutes will assist in correcting posture and help to alleviate overuse or compensation injuries that may occur at various joints around the body, not to mention alleviate nagging lower back and knee pain. These two tests are so important. Don’t underestimate their simplicity. Here’s where most people fall down. They never get started. They read everything they can about strength training, spend weeks looking for the right workout clothes, and determine the right plan. The list could go on. But they never take action. Reading is a great first step to making the necessary changes in your life; however, the changes can only be made once you actually take action. If you keep reading and reading and you don’t do anything with what you are learning, it’s a form of procrastination. Actions create habits, and that leads to success. Actions create momentum, and actions activate the information you have just learned. You find a coach to guide you through the process. That’s the first decision you need to make. Going it alone is the hard way, not necessarily the wrong way, but it’s an approach that may take you longer to get the results you want. That’s okay. It comes down to personal preference. Either choice is fine, as long as you’re happy with your decision. Would I prefer to train by myself? Do I want to train in a gym or group environment? Again, no answer is right or wrong. It just comes down to personal preference, but either way, you’re going to need to make that decision. We only do online personal training here at Strength Matters. This is more suited for the individual who wants the flexibility to train anywhere, anytime, and have it on their schedule. It takes a slightly more dedicated and self-motivated individual to make this work. For those who prefer to be around people in a social environment, a gym or group setting will be the best option for you. Doubtless, you’re going to need some help in choosing a coach who is right for you. We’ve created a number of articles to help you make that decision. You also now know that you need to take action and decide if you’re going to go it alone or invest in the help of a coach. It’s time to take action, and we’re to help if you need us. How on earth do you ACTUALLY get started with strength training? What are the first steps? It can get quite overwhelming, particularly with all the free articles and materials that are available to you on the internet. Don’t worry. We’re going to lay out a complete step-by-step foolproof plan for you to start the right way. We’ve got your back.